In mid 2013, Cat Zingano was undefeated. 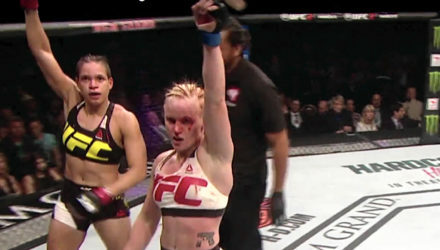 She had just beaten Miesha Tate and was signed to coach The Ultimate Fighter 18 opposite Ronda Rousey. Ronda Rousey still has a hard time wrapping her head around UFC losses to Amanda Nunes and Holly Holm. 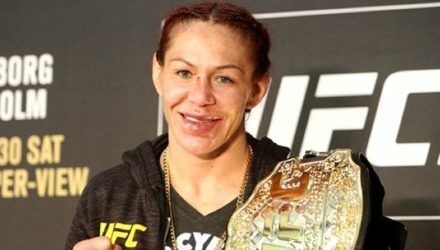 UFC featherweight champion Cris Cyborg said on Monday that she has agreed in principal to fight bantamweight titleholder Amanda Nunes this summer. 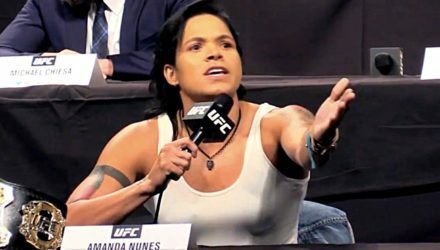 UFC president Dana White still plans to book bantamweight champion Amanda Nunes as featherweight champion Cris Cyborg's next opponent. 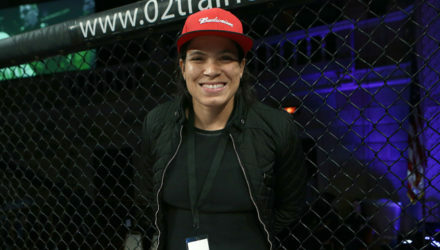 Invicta Fighting Championships today announced the addition of current UFC women’s bantamweight champion Amanda Nunes to its athlete development team. 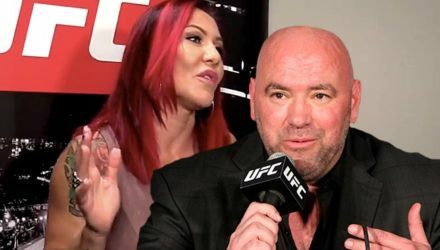 Dana White and Amanda Nunes may want Cris Cyborg to fight Nunes next, but the featherweight champ is steadfast in wanting a top contender next. 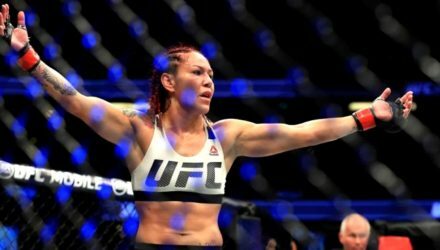 The who is next for Cris Cyborg round-robin continues, as the champ shot down Dana White's idea that she should fight Amanda Nunes next. 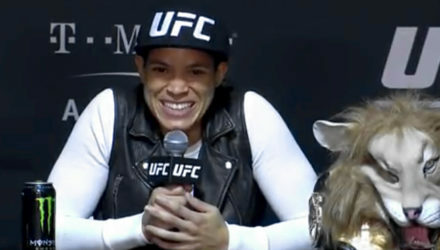 Cris Cyborg has a new opponent and she's the UFC women's bantamweight champion. 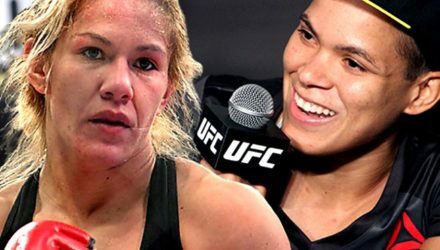 Cris Cyborg admitted that she'd be willing to fight fellow Brazilian Amanda Nunes, but would rather fight Megan Anderson. 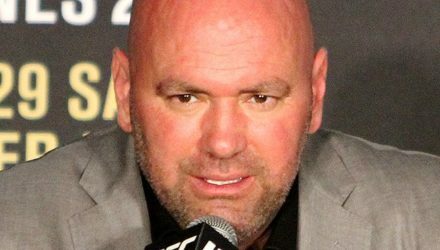 Dana White says that he doesn't want Ronda Rousey to fight in the UFC again. 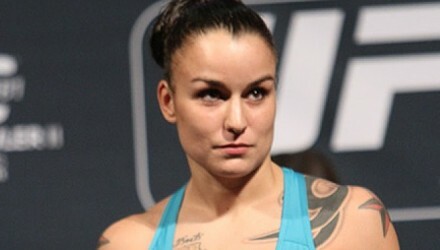 Raquel Pennington will have to wait until sometime in 2018 to return. 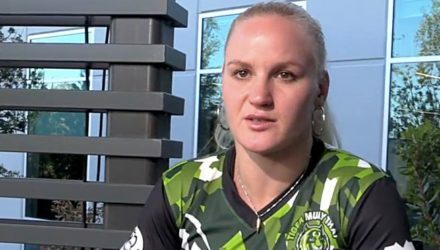 Valentina Shevchenko is not going quietly after dropping a split decision to Amanda Nunes. 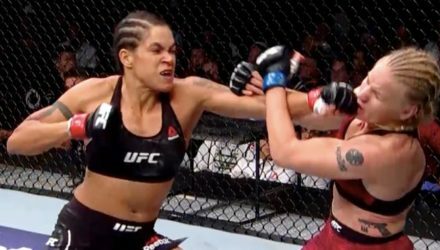 Relive the most thrilling moments of UFC 215: Nunes vs. Shevchenko 2 in super-slow motion in the latest installment of Fight Motion. 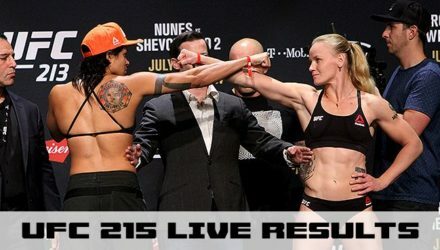 Amanda Nunes already had to pull out of her rematch with Valentina Shevchenko once, she wasn't about to do it again for UFC 215. 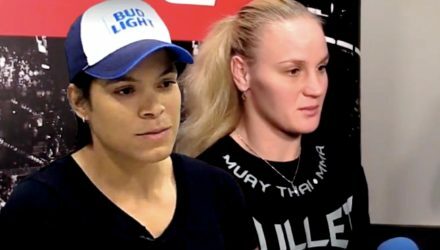 After going five rounds with UFC bantamweight champion Amanda Nunes, Valentina Shevchenko was not pleased. 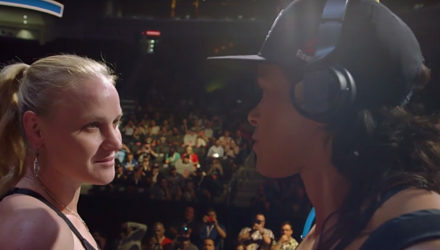 Amanda Nunes had to fight through a grueling war with Valentina Shevchenko to defend her title. 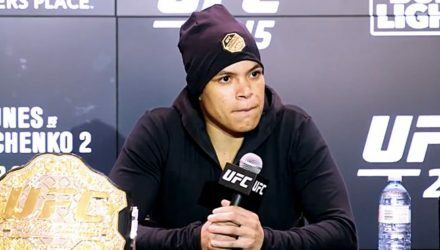 The big winners from Saturday's UFC 215 fight card will field questions from the media following the event in Edmonton, Canada. 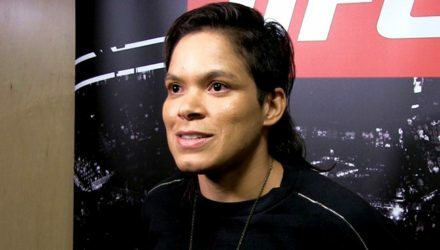 Women's bantamweight champion Amanda Nunes is ready to make another statement to the division versus challenger Valentina Shevchenko at UFC 215. 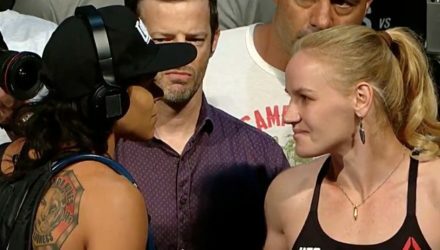 Women's bantamweight champion Amanda Nunes and challenger Valentina Shevchenko prepare for their rematch at UFC 215: Johnson vs Borg on Saturday on PPV. 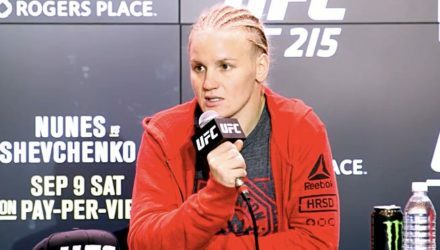 On Episode 4 of UFC 215 Embedded, bantamweight title challenger Valentina Shevchenko talks confidence going into her championship rematch. 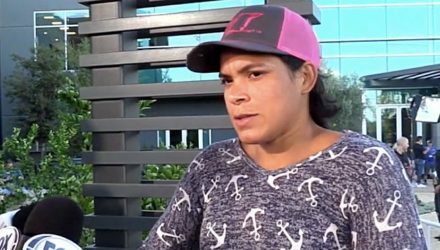 Women's bantamweight champion Amanda Nunes is feeling 100-percent healthy and ready to get the job done at UFC 215 against Valentina Shevchenko. Dan Hardy and John Gooden break down the main event of UFC 215 between Amanda Nunes and Valentina Shevchenko. 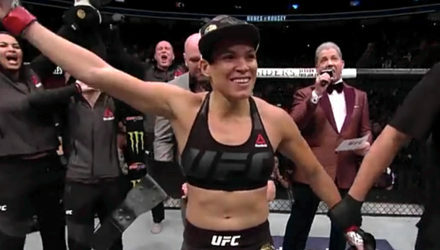 UFC bantamweight champion Amanda Nunes has taken inspiration and motivation from both the good and the bad in her life. The 22 fighters competing on Saturday's UFC 215 fight card in Edmonton, Canada officially weighed in on Friday at Rogers Place.